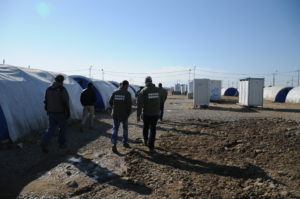 – Formation of an emergency team to carry out the task of the immediate transfer of the survivors receiving treatment in hospitals of Mosul to the hospitals of Erbil. – Coordinating with the Ministry of Labor and Social Affairs to allocate social welfare salaries to the families of the victims. – Sending psychological support teams specialized in dealing with trauma cases, treating survivors of this tragedy. – Building a statue at the site of the incident to commemorate the martyrs. May the martyrs rest in peace and god give their families patience.